Nebraska’s front court took a hit on Thursday night when news broke that junior center Jordy Tshimanga is leaving the program. The news was first reported by Chris Basnett of the Lincoln Journal Star. Tshimanga played in 31 games for the Huskers as a sophomore, averaging 4.0 points and 4.6 rebounds in 13.6 minutes per game. Tshimanga left the team midseason and contemplated transferring, missing two games, before returning to the program following a discussion with Coach Tim Miles and Tshimanga’s family. Tshimanga started the first 18 games of the season but came off the bench following his return to the team as Miles went all-in on his small-ball lineup with junior Isaiah Roby (6-foot-8, 226 pounds) at center. After struggling through the first part of the season, shooting under 40 percent from the field through the first two months, he picked up his play as a reserve and shot better than 50 percent from the field the rest of the season. As a freshman, Tshimanga averaged 5.0 points and 4.0 rebounds in 12.5 minutes per game with nine starts. The 6-foot-11, 268-pound center from Montreal, Quebec, Canada, was a 3-star prospect coming out of the MacDuffie School in Grandby, Massachusetts. He committed to the Huskers in May of 2016, choosing Nebraska over the likes of UNLV, Arizona, Minnesota, Purdue and Oregon. 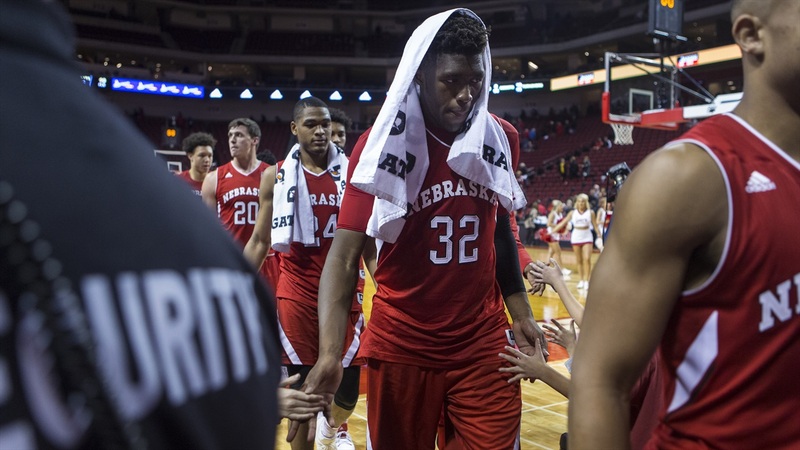 Tshimanga has been sitting out Nebraska’s summer workouts after undergoing a cleanup procedure on his knee. Tshimanga’s departure leaves the Huskers with seniors Isaac Copeland (6-foot-9, 221 pounds) and Tanner Borchardt (6-foot-8, 265 pounds), Roby and true freshman Brady Heiman (6-foot-11, 205 pounds) in the frontcourt. Nebraska now has two open scholarships heading into the 2018-19 season.